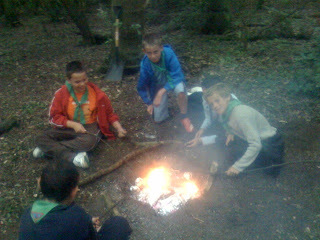 Scouts at 3rd Billericay learnt how to light fires using nothing more than cotton wool and a flint and steel. Scouts prepared jacket potatoes, chicken drumsticks, sausages, fish, baked apples, and chocolate bananas for cooking on the fire. If you think that sounds delicious, it really was! 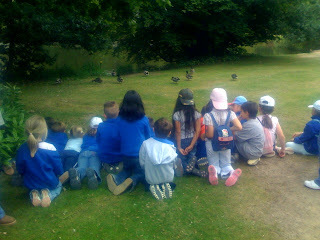 Year 3 pupils visit Danbury Park today and find themselves reinforcing their understanding of the Core Values of Kings Road Primary school. As one of the rangers commented with wide open arms, "This is your classroom" and he was exactly right. 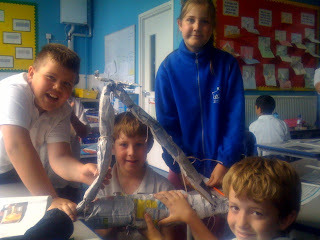 The children came alive when they began building shelters, jumping across streams and collecting leaves and moss for their nature weaving frames. A bridge over troubled water? 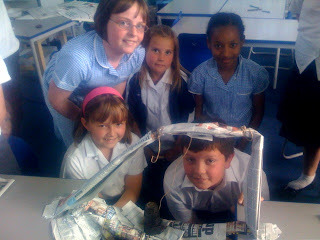 One of the newest clubs at Kings Road Primary School is the Eco-Warriors. This club is open to Year 2 children who are learning about energy saving, energy conservation and recycling. 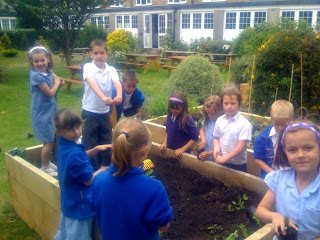 Here, the pupils are planting their seedlings into the new raised beds - another new addition to the school. Pupils are continually amazed at the extensive root system when they remove the seedlings from their pots. Pupils lack opportunities outside school to discover for themselves how plants grow, which is even more reason why Kings Road Primary School are working so hard ensure pupils have practical opportunities to learn about plants within the curriculum. 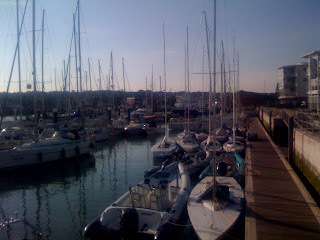 Day 2 of the RORC IRC National Championships here in the Solent. After sleeping up on deck overnight, the 11 strong team woke to a sunny, blue sky morning. I wish I could wake up every morning in exactly the same way. So peaceful.